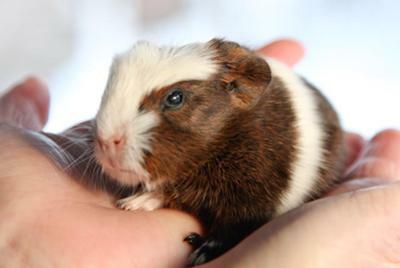 I don't know anything about guinea pigs, this was one of a litter my neighbors GP had, I think maybe a day old but I'm not sure. Brankica: Wow, it's a tiny one :) Thanks for the photo, it really looks cute! This is a very cutie piggie...its soo small. I have a baby one too!